Welcome again to the Hoot. We have had two very busy months and have been implementing two major projects besides our normal day to day tasks. Eagle Owl Computers were requested to install a sophisticated surveillance system at an industrial warehouse which has been subjected to numerous break in’s and theft of equipment and infrastructure. The subsequent installation of professional quality equipment was very successful as is echoed by the completion of the installation. Unofficial feedback is that the client is very satisfied with the installation. Although we have installed a comprehensive surveillance infrastructure, this is only a deterrent as we can only reduce the risks, not eliminate them. We were also approached to do a major wireless installation at a closed housing complex, to allow fast internet to the houses. We also supplied high quality equipment which extended the WI-FI signal inside 10 houses. Subsequently, the clients now have a very stable fibre to the home internet solution as well as excellent Wi-Fi in their homes which allows them to connect their mobiles and laptops to the internet. This installation was very time consuming, but the end result justified the effort put into it. It’s discouraging to discover that digital banking fraud in South Africa is at an all-time high and there’s been a steady increase in this trend over the last four years, according to the latest annual SITEisfaction report by insights agency Columinate. While the 2018 SITEisfaction recorded a marked increase in the awareness of potential fraud and scams across the board, 22% of users still fell victim to these criminals in the last year – up from 19% in 2017; 14% in 2016; and 12% in 2015. “When it comes to the world of mobile banking, security ought to be the utmost priority and concern – as technological counter-measures evolve, so do criminals,” says Columinate’s co-founder and CEO, Dr Henk Pretorius. In the view of Pretorius, the onus is on the banks to create banking platforms that are as secure as they are perceived to be, and to continually remind customers about new and potential threats. Phishing scams are still a frequent occurrence, with 36% of respondents being targeted, and 7% falling victim to it in the last year. Many well known online commercial institutions have been compromised/hacked in recent years and the contents of the stolen databases have been posted onto the dark web or sold to various nefarious individuals. These databases may contain personal details, i.e. email address; unencrypted passwords; ID numbers addresses and even bank/credit card details. We suggest strongly that you can do a check on your email address to see if your email address is on a site that has been compromised. Simply just type in your email address and click on pwned? If your email address is there, then we strongly advise that you change your passwords for that email address wherever you use it, especially if you use the same password on all other platforms. We were shocked to hear that one of our clients, Angelika de Kock has passed away. She has only been one of our clients for a few months now, but was also an ardent lover of owls, and we were able to take some really great photos of the owls that she has been observing over the years. May she find peace in the Great Owl Roost in the Sky. If we don’t see you through the month, we’ll see you through the window. We at Eagle Owl Computers would just like to congratulate Jan Nienaber on the final registration of his promotion to Technical Director of the company at CIPC!! Jan has been with the company since 2011 and as an ex-employee at Vodacom has made a major contribution to the technical development of Eagle Owl Computers. As Technical Director he is your first stop regarding technical issues and solutions. Congratulations on the promotion and may you grow from strength to strength in the future. We would like to remind our clients about our basic services special that we are offering. Individually installed packages per workstation. Expires when the client cancels the service. Automated live monitoring & reporting of infections to our team of IT specialists. First line of defense from online attacks. We also offer additional comprehensive protection and maintenance solutions to clients, contact us for more details. Please do not supply usernames or passwords to anyone. Financial institutions will not direct or request that you log on to a website that requests usernames and passwords. And lawyers will not contact you via email to notify you of an inheritance from some unknown relative. Please note that you can contact Jan on Technical and Wilfred on Admin. You can speak to Elizca regarding any other inquiries at reception. The HOOT is Back !!! We would like to welcome Elizca to the Eagle Owl Team. Hope we will be walking a long path together. We have had a few cases where clients have contacted us and have not had a quick response from us. with a better line of communication ensure that we can assist you in the best way possible. received by everyone in our company and that a quick response will be made. If you would like to contact us directly feel free to dial us, at the number listed above. allow you to get hold of us quicker and we will be able to give you even better service. What is the life expectancy of hard drives? The quick answer is “How Long is a piece of string?” As long as you want it. In other words, how hard and how often does your hard disk drive work? This critical question should come to mind for every business and individual with valuable data. Not enough people realize that their hard drive will fail given enough time. And then…. very few people back up their hard drives………. The two most popular types of hard drives have different life expectancy. Hard Disk Drives physically write code onto the hard disk platter. 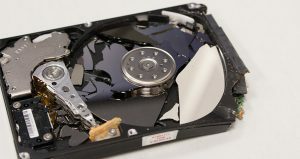 HDD s have minuscule moving parts inside, but they are more vulnerable to physical failures. You’ll find HDD s in 90% desktop computers and laptops. 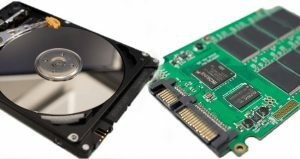 Solid-State Drives use flash technology to save data but they are more expensive,but also more reliable. There is no moving platter in an SSD however, an SSD still uses a capacitor and power supplies, which can malfunction. Please feel free to contact us to do a free test on your hard drive in our workshop should you experience any of the above-mentioned problems. Our web designer, Beatrice van Soelen from the company Oonie, has done an excellent job in relocating and re-modelling our website to the Word Page format. Please feel free to make our www.eagleowl.co.za/links page your home page for quick access to the internet. The Silly Season is upon us. Thank you for all your support and words of wisdom in 2015. Without you we would not be here. May your Silly Season and 2016 be filled with love, success and everything beautiful. Please be safe if you are going on the roads and come back in 2016 energized and ready for anything. in a spirit of health and hope. Please take note that our offices will be closed from the 17th of December 2015 and will reopen on the 4th of January 2016. Although our offices will be closed, there will be somebody on call right through the holidays. You can contact us on 076 401 7800 and speak to Lizzi who will then contact the technician on duty. Spring is here and Summer is fast approaching. Do your Spring cleaning the right way remember to dust and bust your PC before the summer heat causes damage. The easiest thing you can do to help keep your PC cool is to give it a little breathing room by removing any obstacles to air flow. Make sure there’s nothing sitting right against any side of the computer, especially the back. Most of the hot air flows out of the back end of the computer case. There should be at least 5 cm open on either side and the back should be completely open and unobstructed. If your computer is hidden away inside a desk, make sure the door isn’t closed all the time. Cool air enters from the front and sometimes from the sides of the case. If the door is closed all day, hot air tends to recycle inside the desk, getting hotter and hotter the longer the computer is running. The fans inside your computer are there to keep it cool. Phone a professional to test and possibly replace them. Do you know what slows a fan down and then eventually makes it stop? Dirt – in the form of dust, pet hair, etc. It all finds a way into your computer and much of it gets stuck in the several fans. Just as with household filters in your furnace, air conditioner and even your car, dust and debris can collect around the air vents and prevent proper air flow. A dusty PC will get hotter internally – and generate more heat externally – than a PC that’s relatively dust free. Use common sense when removing dust from the computer phone the professionals for a dust and bust. Watch application use the fewer items your CPU uses at once, the less likely it will overheat. Also, regularly run anti-spyware and anti-virus software to keep the laptop free of performance-compromising programs. And, be cautious of some of the cooling products on the market. Some of these actually use more power than they cool down or block your laptop’s internal cooling fan, making matters worse. Set your screensaver and power setting properly. As long as your system is calculating your screensaver display, it is running near full power (and thus full heat). Allowing the screen to go blank after 15 or 20 minutes saves electricity and gives your system a break. And while you’re at it, check your other Power settings in your OS or in the BIOS. Letting your system go into Sleep or Suspend mode can add significantly to its life. We say a sad farewell to Mavis, who has decided to retire. We will miss her dearly. On another note we would like to welcome Lizèl (we call her Lizzi) to the Eagle Owl Team. She has taken over from Mavis. Hope we will be walking a long path together. We now have our very own Facebook Profile. If we haven’t sent you a friend request yet, please send us one. You will find us under the name, Bubo Capensis (Scientific name for Eagle Owl). Malware (short for malicious software) is software designed to infiltrate or damage a computer without your consent. Malware includes computer viruses, worms, trojan horses, spyware, scareware and more. It can be present on websites and emails, or hidden in downloadable files, photos, videos, freeware or shareware. (However, it should be noted that most websites, shareware or freeware applications do not come with malware.) The best way to avoid getting infected is to run a good anti-virus protection program, do periodic scans for spyware, avoid clicking on suspicious email links or websites. But scammers are sneaky: sometimes malware is cleverly disguised as an email from a friend, or a useful website. Even the most cautious of web-surfers will likely pick up an infection at some point. Spyware: It surreptitiously monitors and collects information about you, your computer and/or your browsing habits without your consent — usually for advertising purposes. It can also gather info from your address book, and even your passwords and credit card numbers. Unlike viruses and worms, spyware does not usually self-replicate. Real malware is generally designed not to be noticed. The people who write these programs don’t want you to clean them off of your computer. But if you know what to look for, you can recognize a symptom that might be caused by malware. Suddenly poor performance. If your PC is running slower than it used to, or it seems to be running an awful lot of stuff in the background, malware could be the cause. Standard maintenance programs don’t work. Malware will often protect itself by disabling programs that might help you identify and remove it. So if programs like Windows Update, Task Manager, your antivirus program, Regedit, System Restore, or Msconfig fail to work, you have reason to be suspicious. I should mention that some of these programs—especially Windows Update—can regularly fail without help from outside bad guys—although if it’s one of several programs that fail, malware is likely. New, unwanted toolbars that won’t go away. All sorts of programs might install a new toolbar into your browser, and usually, it’s no more than a temporary annoyance. But if you can’t turn off the toolbar, or you do turn it off and it soon reappears, there’s something more sinister at work. Your home and search pages change. This is very much like the toolbar problem. If these pages change toolbarsomething you don’t want, and you change them back, but your change doesn’t last, something is running that you have to stop. What to do when you are infected …. contact a proffesional. Worms, viruses, Trojan Horses, and now ransomware… Attacks on digital devices are continuous and everincreasing. But, all is not lost. There are effective measures you can take to ensure that you don’t open yourself up to such threats. 1. Do not open suspicious looking emails or click on URLs / hyperlinks in such mails. This cannot be stressed enough and is still a major reason for infection. If in doubt, delete! 2. Do not open suspicious looking attachments or attachments from unknown / untrustworthy senders. 3. When browsing the internet do not click on pop-ups that state that your computer or software is out of date. 4. Make sure you have up-to-date anti-virus software installed. (this is where managed anti-virus is always a good thing). 5. Back-up your critical data on a regular basis. 6. Act on your suspicions if something appears to be wrong with your PC / laptop. 7. Turn your PC off immediately if you suspect it is infected. (You know you are infected when you try to access data and a pop-up asks for money to access that data. Turn your PC off right then and there and call a professional). 8. Do not try to fix it yourself unless you are an IT professional who has dealt with ransomware before. Holes made by third-party software that are ripe for exploitation by hackers go far beyond Lenovo. Security researchers last year discovered major vulnerabilities in two widely used open-source software tools, dubbing the flaws Heartbleed and Shellshock. Although they were accidentally introduced, they had survived for decades because companies trusted that the small teams of volunteers developing the software had thoroughly checked the software. There’s also the intentional security hole the National Security Agency is accused of inserting into a tool made by the RSA Corporation that scrambles user data to protect it. It’s highly unlikely companies would have paid RSA to protect their data had they known, and RSA denies that it knew about it. To be sure, Lenovo’s Hortensius said his company has taken steps to ensure few users can still run into Superfish. But it was only after security experts began howling about Superfish’s behaviour that some security programs detected and removed the software. So basically Superfish takes and stores all the information available about you, stores it and then makes it available to advertising companies. The winter is slowly coming to an end, which means it’s almost time for Spring cleaning. Don’t forget to let us know when you want your computer dust busted. Hope you have a fabulous start to Spring !